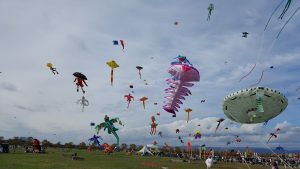 Learning to adapt, or How to fly kites at a festival when you have none. So it has been since spring since I have posted. A few reasons: 1) Laziness 2) Lack of things to say 3) Flying was a flop this year. 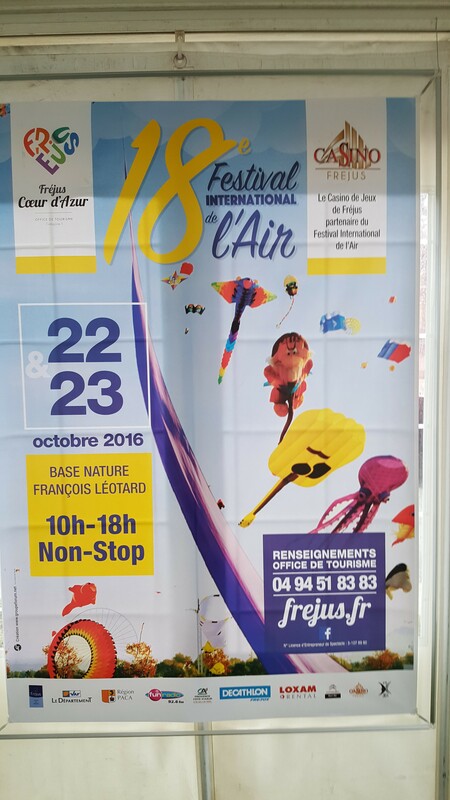 and finally, My kites were lost on their way to the festival in Frejus France. 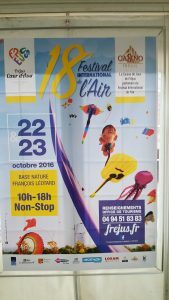 So I attended a festival this fall in Frejus, France – a nice small town just west of Nice and Monaco. On my way over, my friends at Air Canada proceeded to lose my very brightly colored blue kite bag, and could not get it to me in a reasonable amount of time. (5 days?) Well, I landed in Rome, Italy, on Wednesday morning, and proceeded to the baggage claim, and no luck. The bag was not there. This is exactly why I always carry on my clothes. That was the bad news. 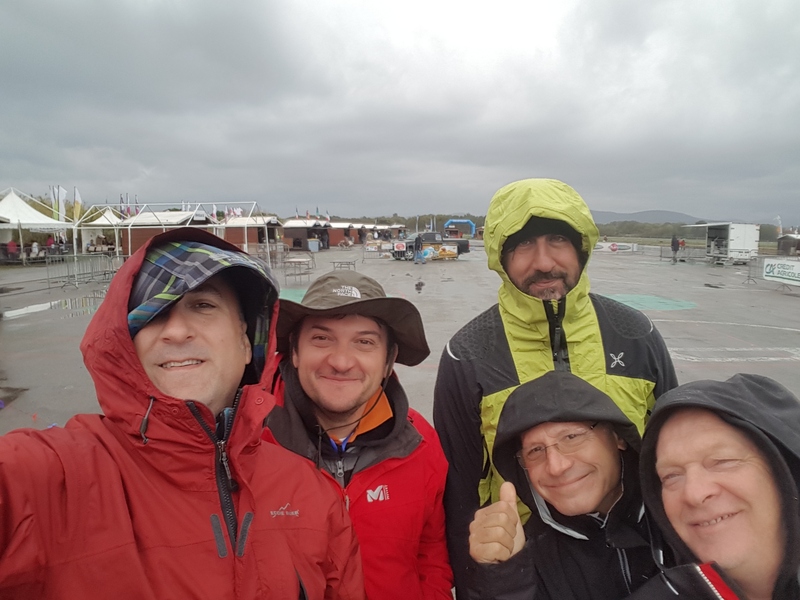 The good news, I was going to tour Italy from Rome to Frejus (Look it up, it takes the southern coastline of Italy and France) with my friend Moreno. We went from Rome to Genoa on Wednesday. Spent the day in Turin, and toured Juventus Soccer Stadium and museum on Thursday, and then proceeded on our way Friday morning to Frejus. The trip, was fantastic, how often do you get to combine you trip to Europe, with your two favorite past times, and in turn, enjoy some fantastic scenery the entire trip? The answer, simple, NOT OFTEN. 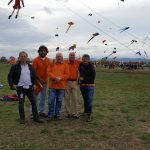 SInce I did not have my kites, I helped my friends from Gubbio fly all of their kites. 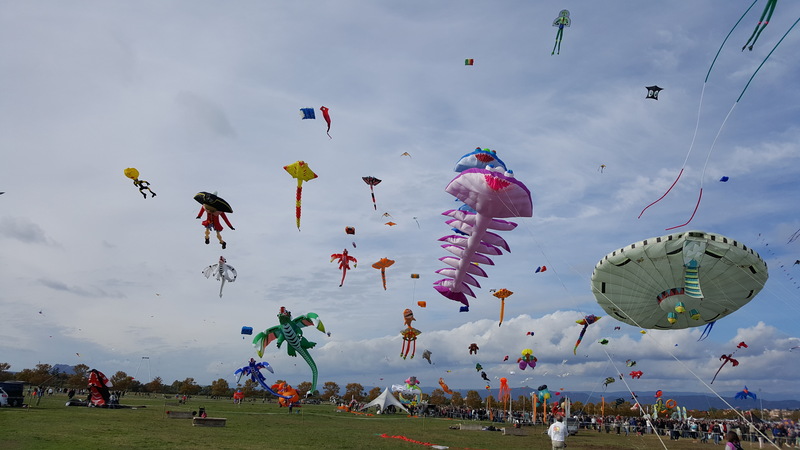 In all honesty, they had more than plenty, and my kites would have easily crowded the field, so in a way, it all ended up for the best. I also received a kite fro my friends, and hand made character – that was pretty cool. Somehow on the trip we discussed song lyrics, and I think I just blew the entire country of Italy collective minds. We were singing along with the radio, to Dire Strait’s “Money For Nothing” and the Lyric “And your Chicks for free” came up. I caught my friend singing in english, “You Get your money for nothing, and your CHECKS for free” Well, in all honesty, that lyric made a lot sense. But it was wrong. So I proceeded to tell him the correct lyric, what do you know, ALL WEEKEND, it was a topic of conversation. Next topic, “Whats a Chick” part two of my lesson to my Italian friends. 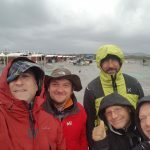 The festival had no wind Saturday morning, a great afternoon of flying, and then, rain all day Sunday. We still had a great time together, and still enjoyed the company of each other, I sampled, and brought home with me, more of Moreno’s “Italian Moonshine” (Home Made Limoncello) He dropped me off at the Genoa airport on Monday afternoon, I flew back to Rome Monday night, was reunited with my bag at my hotel, and then proceeded to fly home on Tuesday morning. It was a great trip. 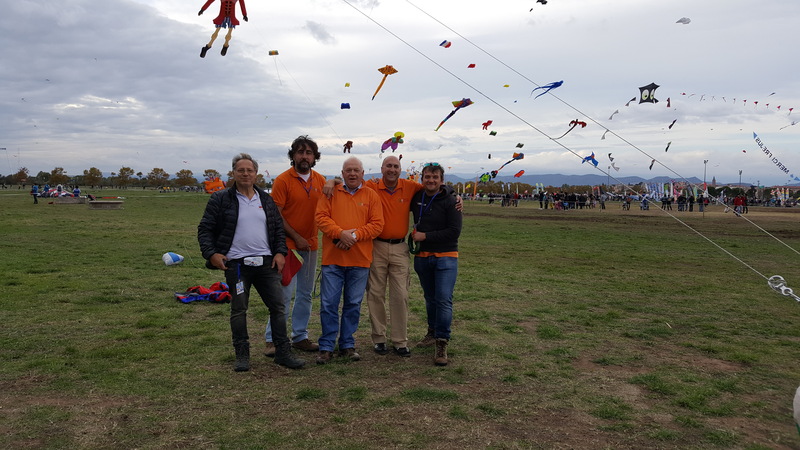 I loved my time in Turin, I enjoyed hanging with my Italian friends, and most of all, I cherished the Saturday afternoon of flying on Saturday. Who knows where my next trip will be, but I know this; It will always include my friends from Italy.